A cambelt or timing belt is a key part of your engine, working to control the timing of the internal combustion engine inside your car. This vital function ensures the synchronisation of rotation movement between the crankshaft and camshaft. The cambelt doesn’t have an unlimited lifespan and will need to be changed reasonably regularly. There are a number of tell-tale signs which will alert you to your cambelt needing replacing, if you notice any of these, you should contact Vasstech to arrange an appointment. One of the first signs that a cambelt needs attention is a loud noise that is produced when the car is running. Often occurring when the vehicle has just started or during a period where the engine is cool, the cambelt can produce a variety of noises which can signify the end of its lifespan. 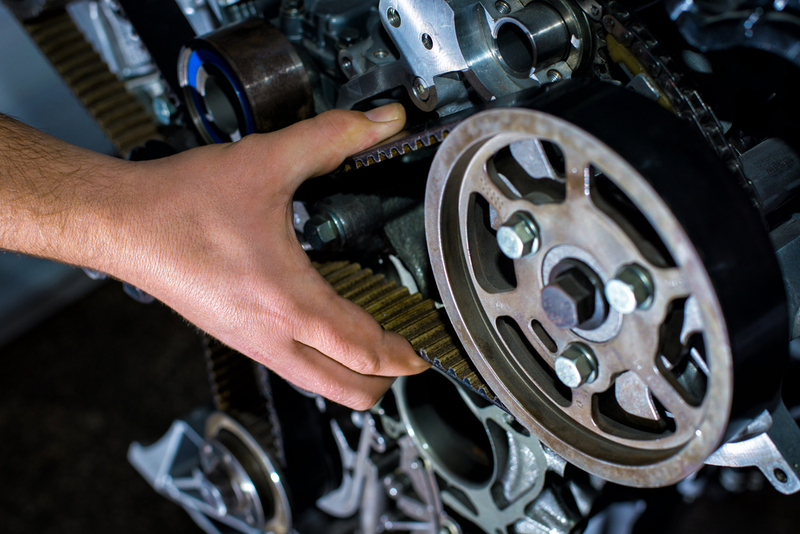 From squeaking, squealing, hissing, grinding, rattling and rumbling noises, your cambelt can make a range of noises that will let you know that it needs to be replaced. Where cambelts have become too loose and become too worn down, they will often emit a high-pitched squeal. However, if your cambelt is new and still makes this noise, then it may require the tension to be adjusted or have the cambelt visually inspected by a mechanic to ensure there is no unusual wear. 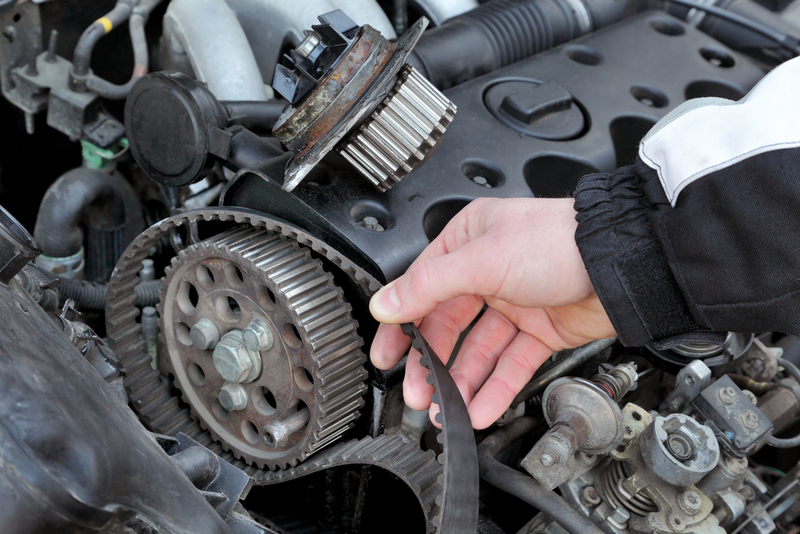 If your car is failing to actually start, it could be an issue with the cambelt. The belt allows the camshaft to turn in line with the crankshaft, however, if this does not occur, your cambelt may be broken. Vehicle owners can check the condition of the cars cambelt by taking a look under the bonnet at the cambelt itself. The cambelt can appear glossy, shiny or glazed on the underside where it has become worn. When this happens, the rubber is becoming less flexible and hard, which can eventually lead to cracking, fraying and breakages. Other tell-tale signs of a cambelt that is at the end of its lifespan, is cracking or fraying, with this kind of damage, a vehicle owner should take their car to a garage immediately. Easy checks can be carried out, by pressing a fingernail or the tip of a screwdriver into the belt, gently, with cambelts that are healthy and of the right tension leaving a mark and failure to leave a mark meaning that the rubber is too stiff. If your cambelt seems to be reaching the end of its lifespan or if it has actually broken, give Vasstech a call right away. A broken cambelt can cause huge amounts of damage to an engine, and the type of engine your car has will determine the degree of collateral damage that will occur. A break in the cambelt can result in severe damage to engine parts, including the valve, which can lead to costly repairs. We encourage all car owners to check their cambelt and if unsure of the condition then immediately see a mechanic to avoid any further damage to the car’s engine. If you notice any issues with the performance of your vehicle or have carried out an inspection of your cambelt and think it may need replacing, pop into your local Vasstech branch for free, honest advice. Find your nearest Vasstech branch today.